Another one of my favorite series! 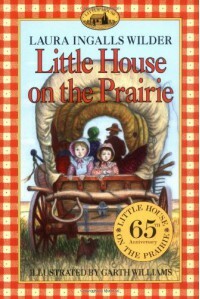 This series is set in the American Western Pioneer days and observes the life of the Ingalls family. The Lexile level is 600L. I would use this in a 4th or 5th grade classroom. I would start off by discussing what the Homestead Act is and what pioneers needed to start a new life. I would have students brainstorm what they needed to settle, what problems they might have faced, and how the Indians came into play. I would then ask them to compare their houses to our houses today. We would read aloud several chapters from the books that describe their conditions and houses. (I would look these up before the lesson) We would use a KWL chart to see what we knew, what we wanted to know, and what we learned.